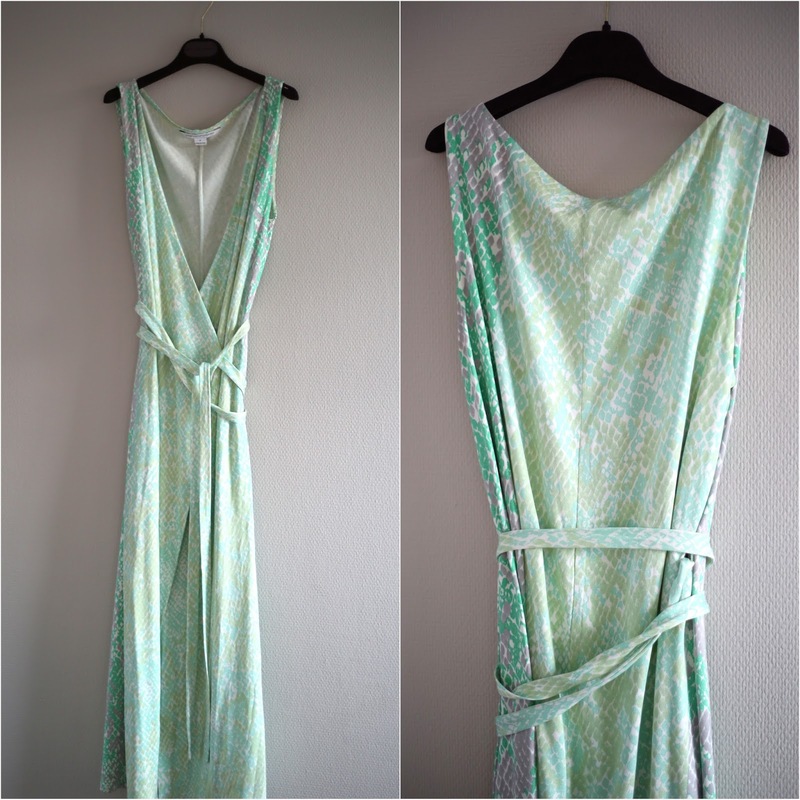 A stunning long dress in a wrap model from Diane Von Furstenberg in mint green with snake pattern. 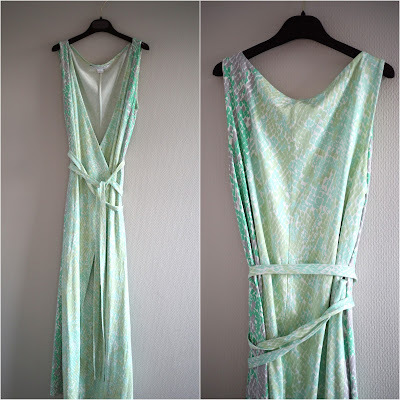 Enhances the body very lovely, beautiful decolltage and just so comfy yet elegant to wear both for evening or to summer sandals. 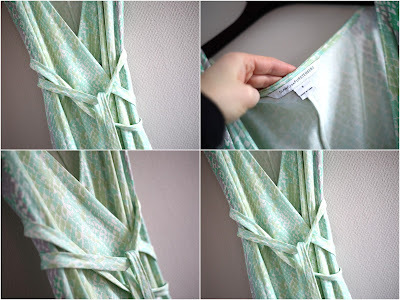 Heave and nice jerseay material and a lovely dress to own. Used two time, like new. On me here. Size: fits 34/36/38 since it's a wrap model and you adjust it yourself. Price: 1900SEK or 210EURO, new this summer 7800SEK and I'll stand for the shipping world wide.